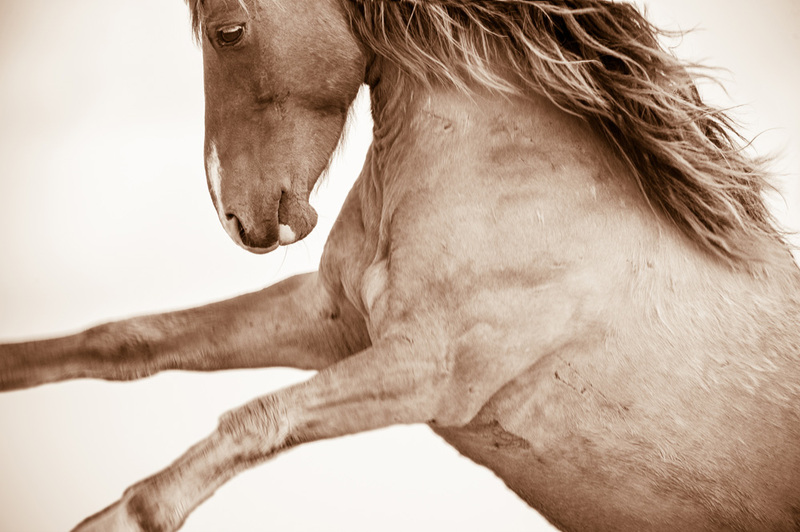 In many ways, movement and posturing are the language through which wild horses communicate with each other. If looking to display bravado, then rearing up on to hind legs in the presence of another stallion explicitly notes that a challenge is being served. Some of my most powerful moments on the Outer Banks have been when I have witnessed these displays. Intensive fighting can occur, but most often they are non-combative gestures, upright with front legs pawing into vacant space. One gets the sense they are almost daring an attack and, eventually, one or the other retreats, perhaps saving the battle for another day.